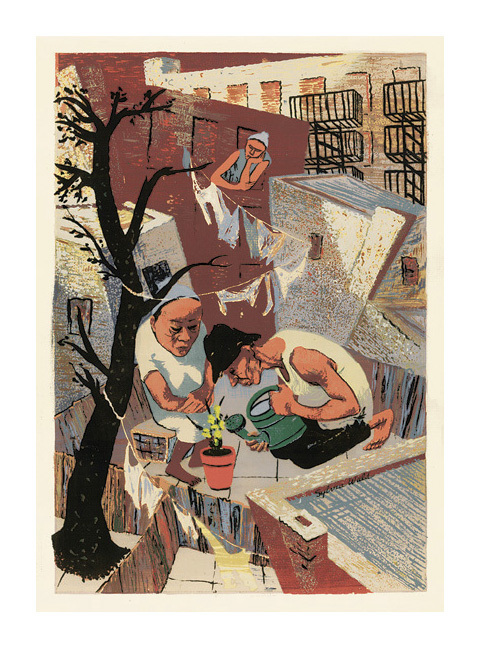 Spring Cleaning- - 1941, Color Serigraph. Image size 18 7/8 x 13 3/4 inches (479 x 349 mm); sheet size 23 x 19 inches (584 x 482 mm). A fine, painterly impression with rich colors on cream wove paper; full margins (2 to 2 3/4 inches); pale mat line and slight toning within a previous mat opening, otherwise in excellent condition. 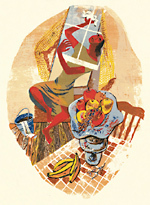 Planting- - c.1946, Color Serigraph. Signed in ink, in the image, lower right. Image size 17 5/8 x 12 1/8 inches (448 x 308 mm); sheet size 19 x 16 5/8 inches (482 x 422 mm). A fine, painterly impression with rich colors on cream wove paper, with full margins (3/8 to 2 3/8 inches); otherwise in excellent condition. 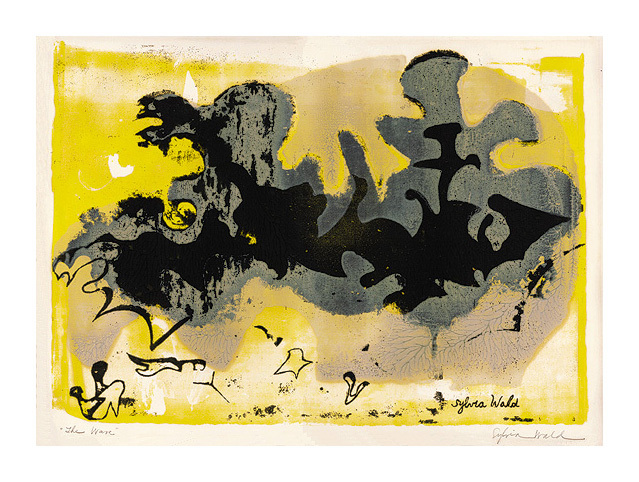 The Wave (Large Version)- - 1952, Color Serigraph. Acton 35. Edition 23. Signed and titled in pencil. Signed in the screen, lower right. 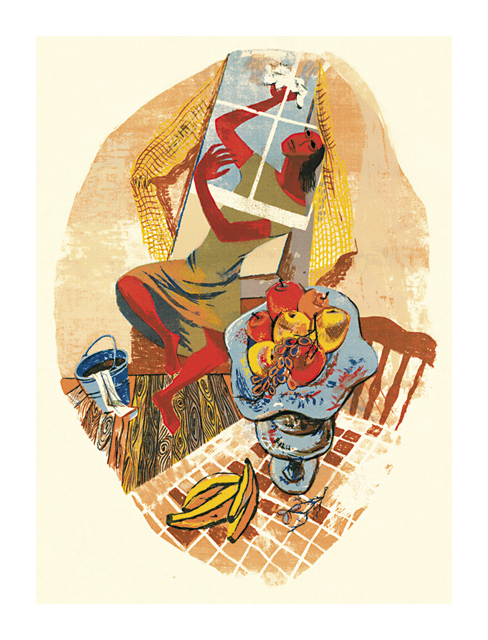 Image size 15 9/16 x 22 inches (395 x 556 mm); sheet size 20 x 26 inches (508 x 660 mm). A superb, painterly impression combining heavily textured areas with translucent veils of color; full margins (1 7/8 to 2 5/8 inches), on heavy cream laid paper. A pale mat line 1/2 inch outside the image, otherwise in excellent condition. 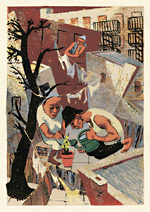 Collection: Allen R. Hite Art Institute, University of Louisville.